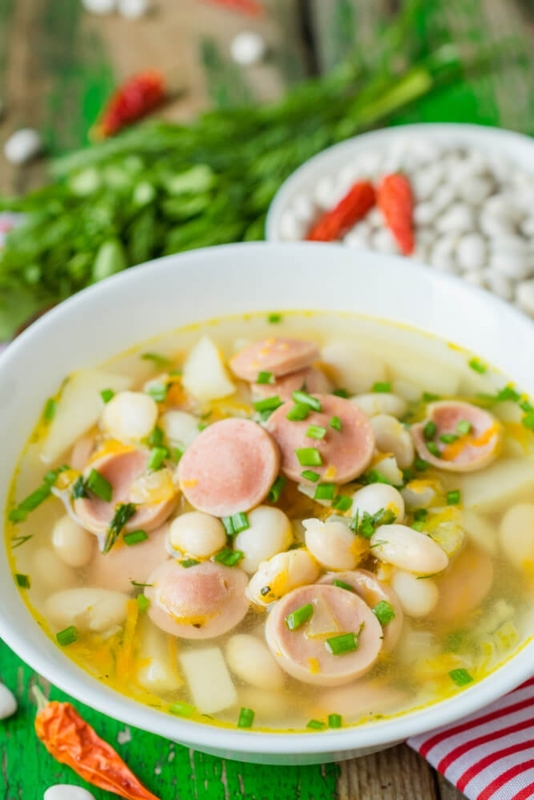 Soup with beans and sausages is good for cold season, it perfectly satisfies and warms. 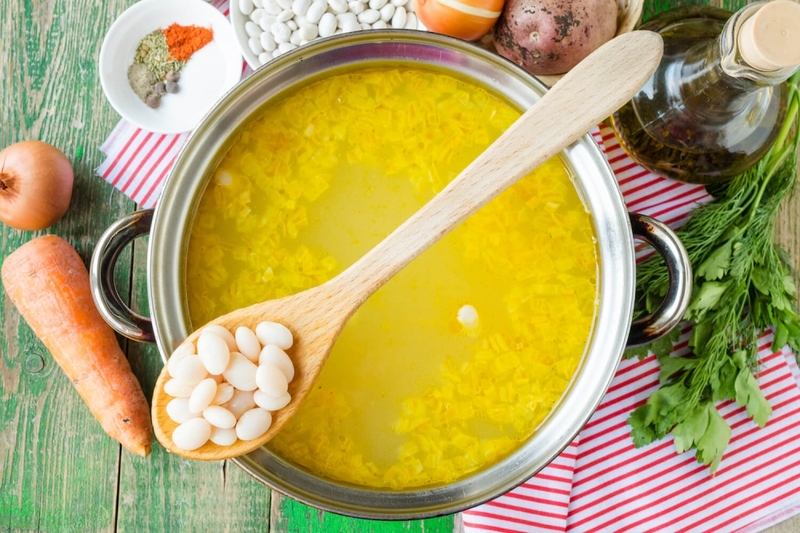 As bean contains a lot of protein and is rather nourishing product, we will cook soup on chicken broth. For this recipe I used dried bean, which I steeped in cold water beforehand and boiled to readiness. It is also possible to use preserved product, then preparation time of soup will be cut by half. 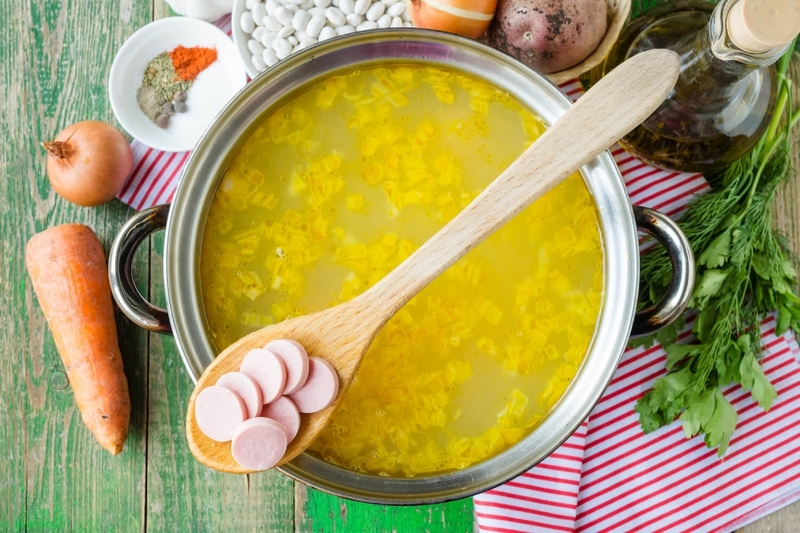 For soup it is possible to use milk or smoked sausages, hunting sausages will also approach. At will it is possible to fry them previously on vegetable oil, but this variant will have more calories. 1. 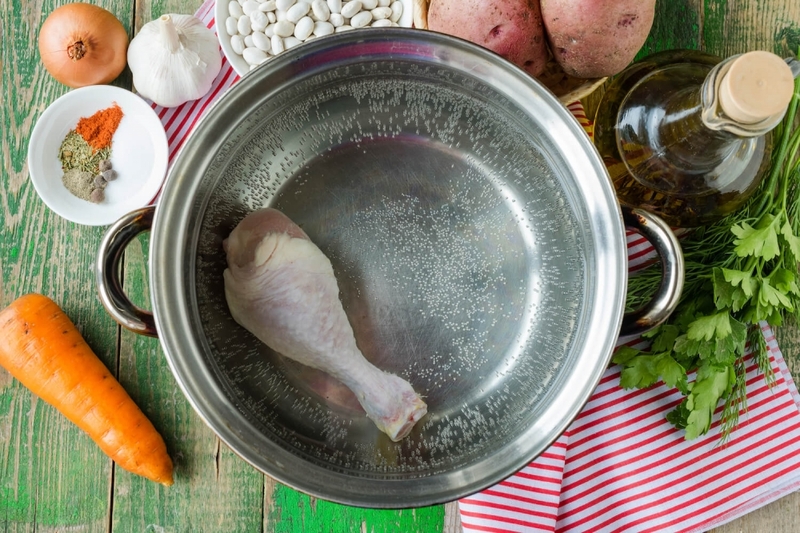 Shift chicken leg in a pan and fill in with cold water. Cover the pan and bring broth to boiling. Let's boil broth thoroughly on low fire for 30 minutes after boiling. 2. 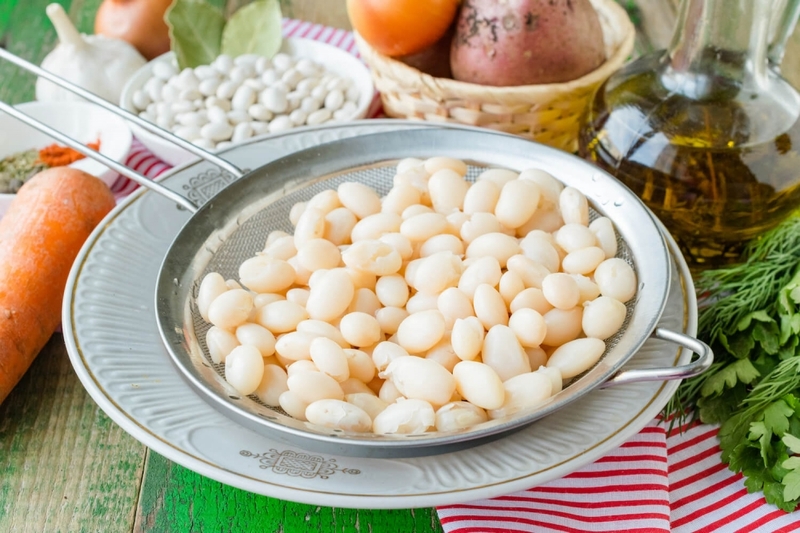 While chicken broth is cooking, let’s boil white beans to readiness. 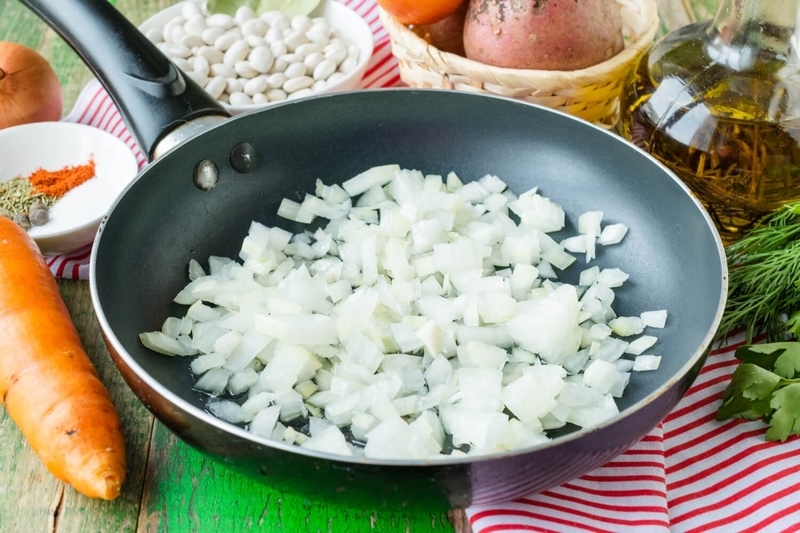 For beans to be cooked quicker, they can be steeped previously in cold water for several hours. Cast away ready beans on a colander. 3. Let's get from the ready-made broth chicken leg. 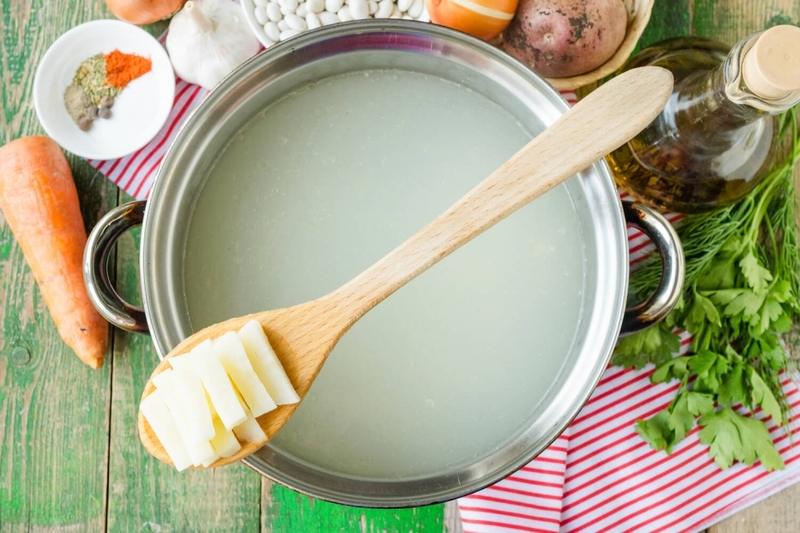 Boiled meat can be used for preparation of various snack and salads or to add to soup before serving. Wash, peel and cut into bars potatoes tubers. 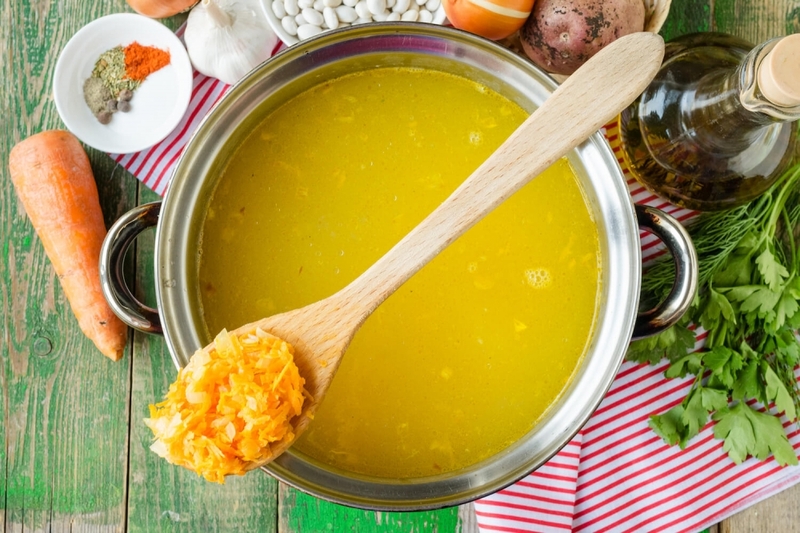 Add vegetables to ready chicken broth. 4. While potatoes are cooking, peel and cut into cubes onion. Fry vegetables on olive oil till light golden brown. 5. Then add grated carrots to onions. Stirring slowly fry vegetables on low fire to softness. 6. 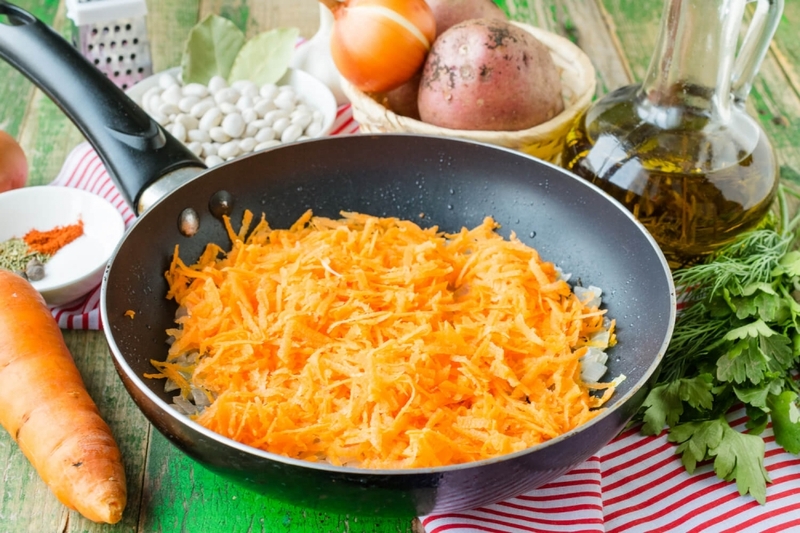 When potatoes become soft, add the fried vegetables to soup. 7. Afterwards put the boiled beans to the soup. At will it is possible to use the canned beans filtered from marinade. 8. Remove the covering from the sausages and cut into rings. 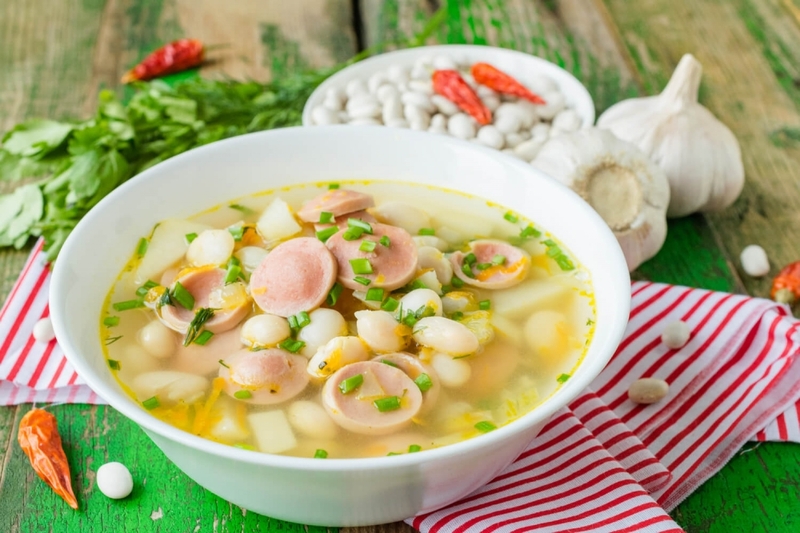 Let's add sausages to soup. 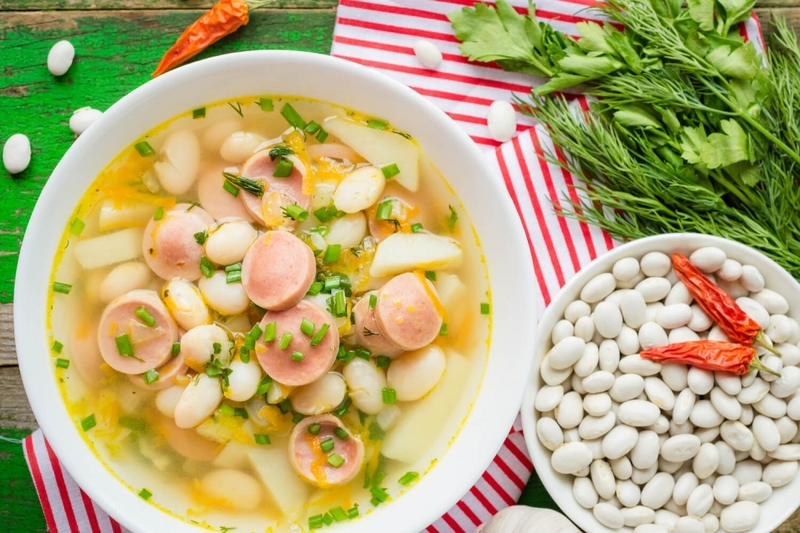 Boil thoroughly soup with beans and sausages for 5-7 minutes. 9. Several minutes before the end of preparation add the chopped greenery of dill and parsley to soup. For aroma add bay leaf, peas of allspice and garlic gloves which are passed through a press. 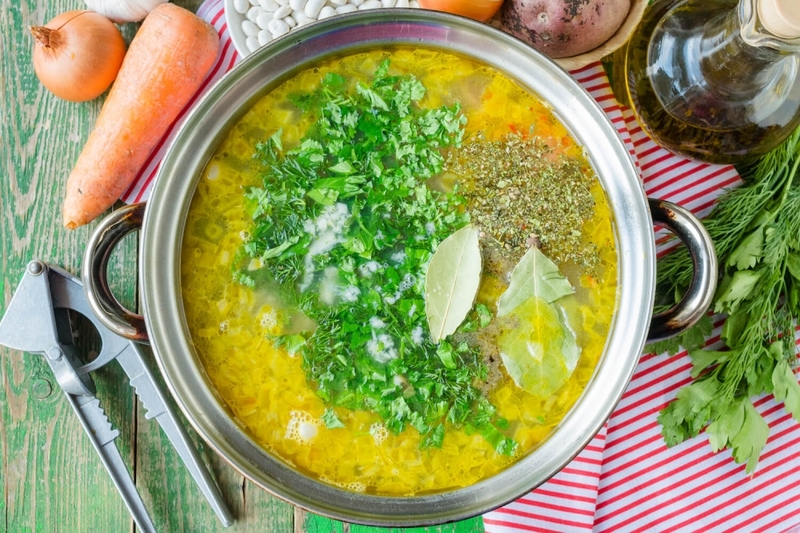 Bring the dish to taste by adding salt and seasonings to the soup. 10. Let's allow ready-made soup to draw for 5-10 minutes then pour it in portion plates or soup mugs and serve with garlic croutons.